WHILE THE AWARDS ARE APPRECIATED, OUR CLIENTS APPRECIATE THE RESULTS EVEN MORE. Impact was proud to be one of two recipients of this year’s 2018 Government Relations Campaign of the Year award by the Canadian Public Relations Society, for our work alongside the Composite Panel Association in bringing in regulations for limited formaldehyde emissions in composite wood products. This regulation will be aligned with the newly passed EPA legislated framework in the United States. Impact Public Affairs received the Griner Award in recognition of superior business excellence from the Canadian Society of Association Executives (CSAE). The Griner Award recognizes the significant contribution business members make to the association management field. This was the first time a public affairs firm received this award. 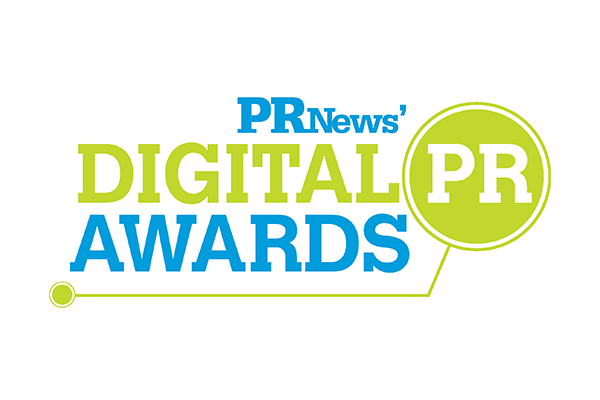 Impact Public Affairs was a finalist for the “Best New Digital Product or Service” award at PR News for our Push Politics tool. The tool has allowed numerous national associations to activate their membership in sending thousands of direct emails to their local Members of Parliament and provincial representatives. In 2016, the Canadian Alliance on Mental Illness and Mental Health (CAMIMH) was recognized by PR News’ Nonprofit PR Awards for outstanding work in the category of Advocacy Campaign and Lobbying Efforts. This award recognition brings greater awareness to the work CAMIMH has done via its partnership with Impact Public Affairs in raising the profile on mental illness and mental health, both initiatives that have received immense media and political attention over the past several years. In 2013 the Funeral Service Association of Canada was awarded the Canadian Society of Association Executives’ (CSAE) Associations Make a Better Canada award in Public Affairs/Government Relations following their successful campaign to increase the Last Post Fund which helps to provide veterans with the dignified burials they deserve. The campaign received international attention and has successfully supported our Canadian heroes. The Freedom walk was designed with the goal of attracting media attention across the country in order to increase knowledge of both the issues facing victims in Canada, as well as support and empower victims of violent crime. Impact coordinated an incredibly successful media campaign and through only issuing press releases in communities across Canada, the Walk received 65 different news stories in print, on radio, and on television which garnered more than 3 million media impressions. Impact worked with the Insurance Brokers Association of Ontario on an extensive campaign focused on informing consumers on legislation that could affect their insurance coverage. To improve government and public support and educate consumers on the issue, a press conference and press release distribution were coordinated in parallel with an advocacy day at Queen’s Park in Toronto. Earned media was substantial and resulted in government action on the issue soon afterwards. Impact led the National Allied Golf Associations’ government and media relations campaign to raise the profile of golf and the impact it has on the economy and as an employer. Advocacy days took place in almost every provincial capital across Canada and in Ottawa. The campaign generated widespread media coverage both domestically and internationally, with articles appearing in the Wall Street Journal and The Economist. Hundreds of meetings took place with MPs and Senators which resulted in significant awareness building at the political level. Impact implemented an extensive government advocacy campaign to protect Canada’s Library Book Rate, which contributes to the public policy goals of literacy, lifelong learning, inclusion and vibrant communities. Impact worked with multiple champions in Parliament and successfully introduced a Private Member’s Bill in support. This public affairs work was coupled with grassroots advocacy where hundreds of personalized letters were sent to MPs from all parties asking them for support. These efforts resulted in a significant victory for the library community. Impact ran the Amethyst Women’s Addiction Centre’s largest charitable event for 5 years which raised over $100,000 for the organization’s addiction treatment programming and resulted in extensive media coverage.